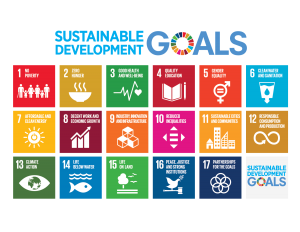 The 17 Sustainable Development Goals (SDGs) were established by the United Nations in 2015 to succeed the Millenium Development Goals. The SDGs are further broken down into a total of 169 targets and 304 indicators which measure compliance. The goals cover social and economic development issues including poverty, hunger, health, education, climate change, gender equality, water, sanitation, energy, urbanization, environment and social justice. As part of its follow-up and review mechanisms, the 2030 Agenda for Sustainable Development encourages member states to “conduct regular and inclusive reviews of progress at the national and sub-national levels, which are country-led and country-driven”. These voluntary national reviews serve as a basis for the regular reviews by the high-level political forum (HLPF) meeting. At the recent 2018 HLPF meting in New York, 47 countries including Australia, Canada, Ireland and Uruguay, submitted voluntary national reviews (VNRs) of their progress towards the SDGs. Information about the engagement of member states with the HLPF can be found here. A report on the overall progress of implementation of the Goals can be found here.